For five days in April 2009, the world was glued to their TV screens as Captain Richard Phillips became the center of an extraordinary international drama when he was captured by Somali pirates who hijacked his ship, the first hijacking of a U. S. ship in more than 200 years. To protect his crew, Captain Phillips made a conscious decision to put himself directly in harm`s way, knowing full well that he might pay the ultimate price for his decision. Amid the standoff, he offered himself as a hostage. Once the pirates settled into one of the ship’s covered lifeboats, the crew attempted to trade the pirate they had captured for Captain Phillips. After they released their captive, the pirates refused to honor the agreement and fled with nine days of food rations and Captain Phillips. Held hostage as a human shield in a small lifeboat with three pirates, he had little to hope for or cling to —except the knowledge that he had done absolutely everything he could to save the lives of the 20 sailors aboard his ship. 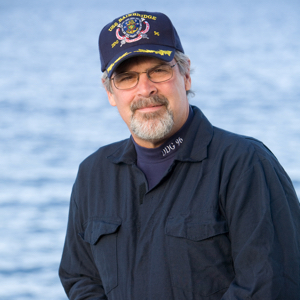 Captain Richard Phillips is the author of “A Captain’s Duty: Somali Pirates, Navy SEALs, and Dangerous Days at Sea”, about his experience and his remarkable rescue. This dramatic story was also transformed into an Academy-Award and Golden-Globe nominated film, Captain Phillips, which hit the big screens in fall of 2013.